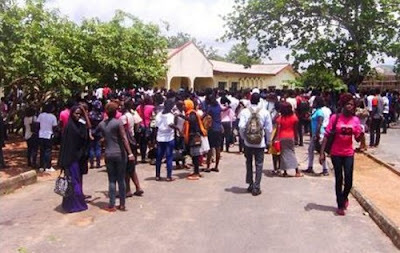 LAUTECH students resumed yesterday just like they were ordered by the school authority that school resumes, Jan. 27, 2017, but little or nothing will be done today as lecturers have refused to resume classes. The strike was called off when the school authorities called the students back, but it seems the lecturers aren’t ready. Students were seen on campus this morning but lecturers are nowhere to be found which has made many of them hang around the school premises. Recall the school was closed last June as lecturers went on strike to demand payment of their salaries.